Independent traveler Agness of ETramping share her extensive tips to traveling China on a Budget. China is a great destination for both, experienced and inexperienced, budget travellers. It offers amazing natural scenery as well as historical and cultural relics, so the number of foreign travellers visiting China is increasing every year. The country is growing faster than ever and people are getting richer by the minute, so the prices are rising as well. China is still a cheap travel destination, in comparison to most of European countries, but that can change very soon. However, following a few simple tips, you will be able to travel in China for free or next to nothing. 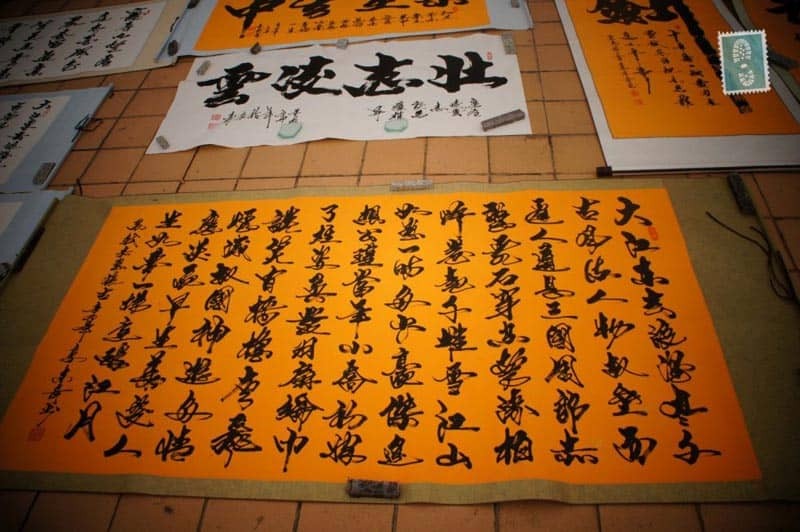 Since the Chinese economy has strengthened greatly and is advancing at breath-taking speed, there is a high demand for English teachers. Whether you are a native speaker of English or not, you can get a teaching job almost everywhere. The school will pay for your transport, food, accommodation and you will also get a decent salary. Thus, you can earn some extra money, save up and keep travelling! 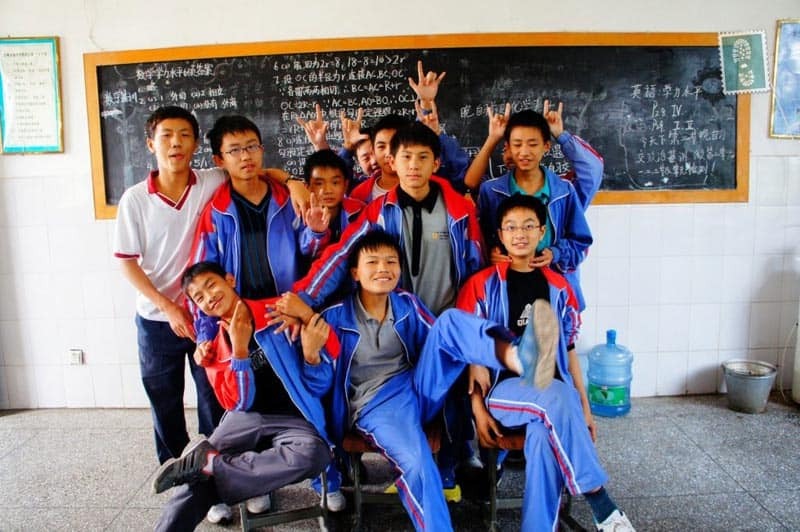 Pick up a province where you would like to teach for 1 semester and keep exploring China on the cheap! Once you start speaking some basic Chinese, you will notice how differently people will treat you. There is nothing better for Chinese than hearing a foreigner speak their language. They will often offer you their house as a place to stay overnight, take you for a lunch, dinner and karaoke show and… they will pay for everything! With exception of the few big and touristy cities, it's more likely that people will give you something for free than rip you off. 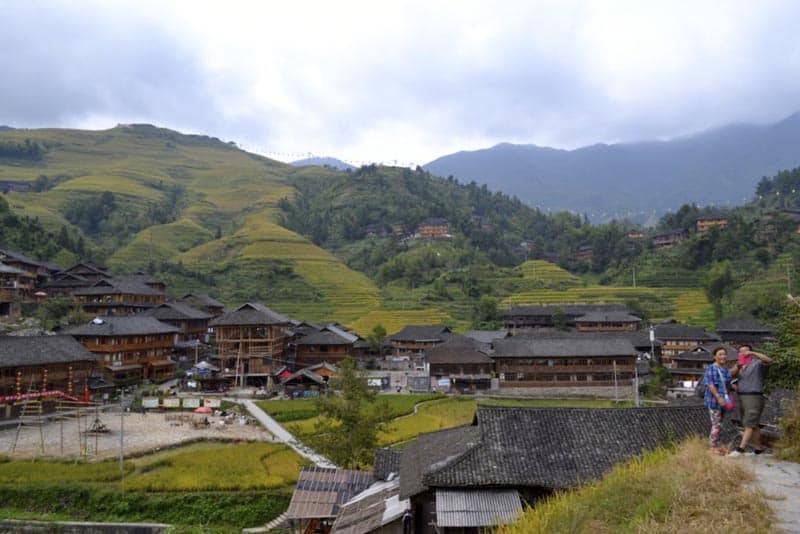 If you visit off the path provinces such as Hunan, you can live happily paying local prices or not paying at all, because it will be a great honor for Chinese to present foreigner with a gift. Getting a train is the cheapest transport option in China. You can get standing ticket, hard seat, soft seat or hard sleeper ticket. The standing and sitting tickets cost nearly nothing but they are the least comfortable. Nevertheless, if you are a foreigner and you buy a standing ticket, you will actually never stand as Chinese will not let you. They will often give up their seats for you. Trains are mostly overcrowded, loud and dirty. Don’t be surprise when you see people smoke, wash their faces, brush their teeth or change their clothes while being on the train. If you can stand it all, then you will pay next to nothing for transport in China! 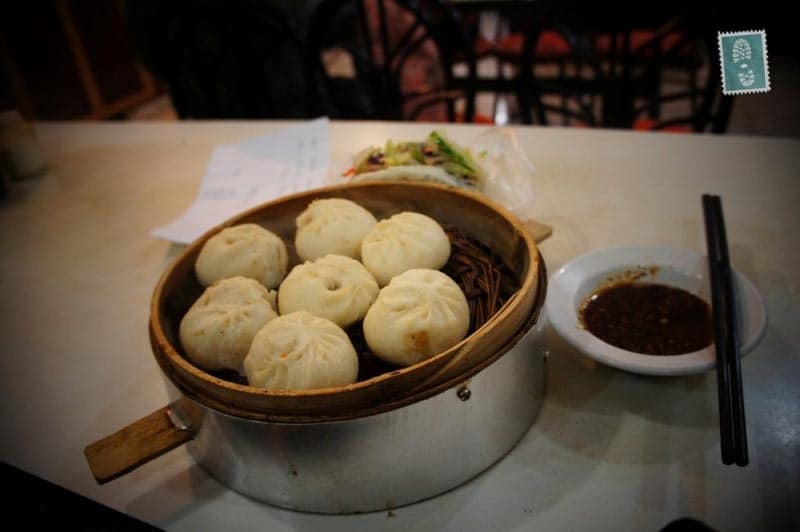 Dining out in Chinese restaurants is cheap, but the street food is much cheaper. For example, the dinner in a restaurant will cost you at least RMB100 ($16), whereas you can have a decent bowl of fried noodles with vegetables from the street for only RMB4, which is less than $0.50. After 2 weeks of having street meals, you will notice how much you can save on food and you will not believe it! To sum up, China is a country which can be as expensive or as cheap as you make it. There are numerous options for low-budget travel, which give you an opportunity not only to see a lot and have fun, but also to save up money for your further expeditions. Eat cheap, travel off the path by trains and do some teaching in between and you might leave China with more money than you came with! 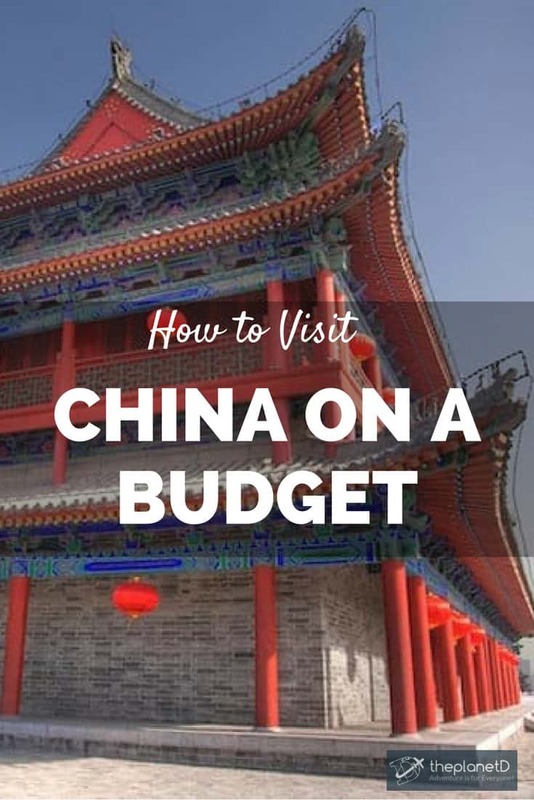 Do you have any tips to travel China on a Budget? For more information and photos from China you can go to ETramping and follow Agness and Cez on their journey around the world for less than $25 a day. 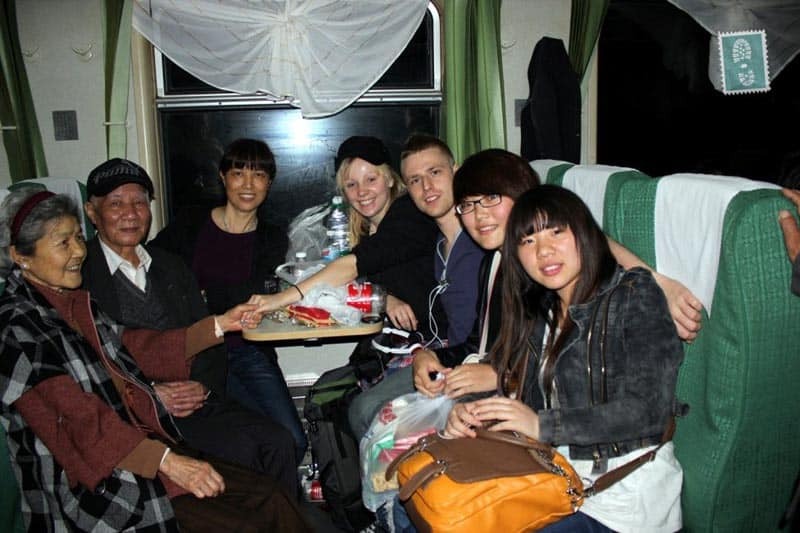 Agness is a Polish vagabond who, after graduating in 2011, left her comfort zone setting off for a journey of a lifetime to China. She has been constantly travelling the world since then (slowly, but surely as she says), living like a local for less than $25 a day. She has become passionate about photography and adventure blogger, sharing her enthusiasm for life as well as her travel experiences. Follow Agness on Twitter at @Agnesstramp and Facebook. 34 Responses to "5 tips on travelling in China on a Budget"
Great post on budget China tour. China overflows with beautiful places to visit. Its charming riverside towns, Epic statues and buildings attractions for tourist. There are some ways to reduce the cost for china tour: Join a group tour to save money, choose cheaper guest houses and hotels etc. i think who can use this Tips,Can have a inexpensive travel in China. china is very beautiful country.i am planning to travel in china to know about its culture,people etc. but money was my main concern. i read this article it is very useful for saving money during travel time.thanks for sharing. It would be very helpful for me. I love the fact that this article is dedicated to China! This beautiful country deserves all the attention, there is so much history, knowledge and beauty there, and so much to learn and explore. Thanks! I’m going to implement your living on $25 a day on my next trip to China! I think that it’s completely doable. Have a great time in China! Hi Rozay, I am sorry that you have had a bad experience in China. If you don’t like it why do you live there? We had a lovely experience in China and it seems that Agness had a wonderful experience too. We also travelled with people from of a different race and they were treated with great respect. China and India are on my list for a long time, but it is hard to choose where to start with and schedule where to go and how many days to stay. These are nice tips though but it would be also nice to hear some information on what to see as well. I liked how some of your tips suggested to take advantage of the well-known Chinese hospitality:) I’m a budget traveller myself, I’ve recently made a trip to Toronto on a budget, but I’ve never been to any exotic destination, like China. But I consider your tips really inspiring, especially the “teacher scenario”. Thank you, I’ve learned something new. I know a couple of friends who have taught English in China and they all said it was a fun and relatively easy way to make money while abroad. Most of my friends were study abroad students though so they might have had easier access to teaching opportunities but i would love to give it a shot. Most of my friends were study abroad students though so they might of had more opportunity to teach english. I recently wrote a page on some of the places I would most like to visit around the world but I have yet to add a destination in China. Do you have any suggestions on places to visit for a novice world traveler? These are some tips one wouldn’t think of. Thanks! Something I’ve seen in Asian countries is how friendly they become and paying for everything when we go out with them as part of their hospitality. Love the photo of Hallelujah Mountains. For the most part, I agree with what debndave say. 4 rmb is now about 65 cents, but still a bargain for a delicious breakfast. However, you should be able to eat a decent meal for less than 100 rmb if you go to a local restaurant if you are traveling in out of the way places like the authors mention and eat like locals. I have only had to travel with a standing ticket a couple of times. Maybe it’s because I look like a healthy geezer, but I have had to go without a seat. I sat with the other “standing ticket” holders in the dining car. One reason to learn Chinese is so you feel comfortable staying in Chinese hotels. I stay mostly in a chain 7Days Inn. Their website is only in Chinese (you can hobble along with Google Translate), but the hotels give you a fairly clean hotel, with 24/7 hot water (many Chinese hotels that cater to locals turn the hot water off about 2 a.m.), a western mattress, and a high speed internet connection, usually for less than 200 rmb ($32). But the staff usually doesn’t know English so you do have to use Chinese to check in and out and for things you might need to tell them. Good tips, prices in China do depend a lot on where you are. The less touristy places definitely are cheaper, and there is still plenty to see there. And you should most definitely eat local food in China, it’s damn awesome! China has been on my ‘maybe’ list for so long. It’s seem like such an important destination in terms of the massive portion of the world living there, but there are some things that put me off too e.g., pollution, spitting and other gross habits, attempts at overcharging, and that I don’t typically like Chinese food. I’m not sure whether I’d enjoy it or not. Are there any particular small cities or towns you recommend? Great tips! China is high on my list of places to visit…it’s just that there is so much to see that I don’t even know where to begin!